Happy Holidays from Everyone at Fastening House! From our families to yours, we wanted to take a moment to wish you a happy holiday season and a prosperous 2018! You, our customers, make our continued success possible. We thank you for choosing Fastening House, and we look forward to working with you in the New Year and beyond! Looking for That Last Item to Add to Your Holiday Wish List? Check out These Limited-Time Deals on Limited-Edition Walter Pro-PACKs! Walter’s PRO PACKs give you all the tools and accessories you need, bundling them together in one package so you can take advantage of discounted pricing and a hassle-free buying experience. 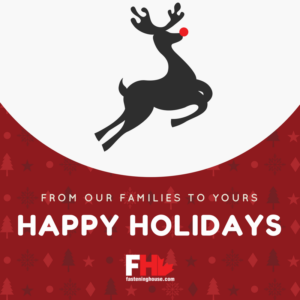 From all of us at Fastening House, we wish you a happy holiday season and a wonderful New Year! At Fastening House, we’re about more than simply selling you a tool. Our experts are ready to work with you to provide the products, supplies, and services you need to increase productivity and improve results. Contact us today!